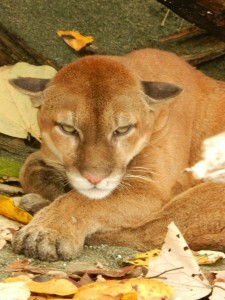 Make the most out of your Corcovado adventure! 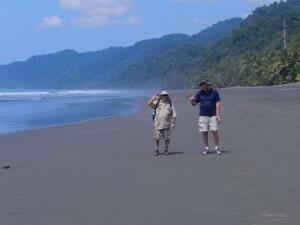 Day 1: Upon arrival at Playa Carate, you will begin the 3 km hike to the entrance of Corcovado National Park. You will then hike 16 km through the beautiful secondary forest and beaches until you reach Sirena Ranger Station. 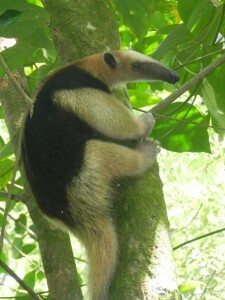 During the day you will likely encounter 4 different types of monkeys, anteaters, coatis, macaws, toucans and a variety of other animals and birds. Day 2: you will explore some of the different trails around the station where there is a chance of seeing the endangered Tapir, sharks and crocodiles near the Sirena River, as well as many other animals. Day 3: On your final day you will hike 19 km back though the secondary rainforest and beaches to Playa Carate and return to Puerto Jimenez. Guiding ServiceTransportation is not included. Car: You can also take your own car to Carate together with the guide. It is not allowed to bring tents, cooking equipment, or your own food.